HUA Dongle Gold is created by famous AsanSam Team and combines 2 solutions: Hua Tool and HDE Tools. Initially created with MediaTek chipset support, HUA Dongle now supports Qualcomm, Spreadtrum, AllWinner, Hisilicon and Android-based phone models. 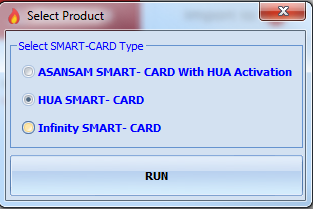 HUA Tool allows you to perform direct unlock, repair IMEI, flash Huawei phones. HDE Unlimited Activation for Hua Dongle allows you to perform Full Flash, Factory Unlock, Repair IMEI, Read Bootloader code, Reset FRP on Huawei phones. Username and password for HDE Tool software will be sent to your email (specified during registration) within 24 hours. If after 24 hours since the registration you still haven`t received account details, please sent the number of the relevant order to techsupport@gsmserver.com. There is no need to select phone, all models are detected automatically. You can check compatible Huawei phone models* here. HUA Dongle Gold – 1 pc.